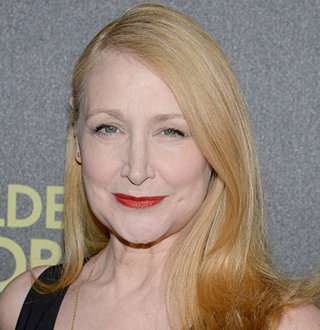 Legendary Hollywood actress Patricia Clarkson opted to put her career first. Her views on marriage baffled public for many moons. Best recognized for her trademark whiskey voice in Hollywood, the 58-year-old New Orleans native was first propelled to a superstar status with the release of 1998 Lisa Cholodenko independent flick titled High Art. Her other timeless on-screen personas include Eleanor Fine in Far From Heaven (2002), Olivia Hearts in The Station Agent (2003), Joy Burns in Pieces of April (2003) and Jane Davis in House of Cards (2017). On 8 July 2018, HBO aired an American psychological thriller series titled Sharp Objects starring Patricia as the show’s leading character. Patricia was born on 29 December 1959 in New Orleans, Louisiana to mother - Jackie Clarkson who was a councilwoman and New Orleans politician - and father - Arthur Clarkson who worked as a school administrator at the Louisiana State University School of Medicine. Jackie and Arthur had five daughters, and Patricia was one of them. After completing her high school from O. Perry Walker High School, she enrolled at Louisiana State University to study Speech Pathology. Later she transferred to Fordham University and eventually graduated with a degree in theatre arts. The High Art star got accepted into the Yale School of Drama programme. Her time at the prestigious drama school saw her deliver mesmerizing performances in the stage productions of classic plays such as The Misanthrope and Electra. After earning Masters of Fine Arts from Yale, she completely immersed herself in the East Coast theatre for a couple of years before she made her Hollywood debut playing the role of Catherine Ness in the 1987 gangster flick The Untouchables. Since making her debut, she has applied her acting trades in over 50 movies and a couple of dozen of TV shows. For her recurring guest feature in the acclaimed black comedy series Six Feet Under, she was honored with 2 Emmys. Likewise, In 2002, the New York Film Critics Circle honored her with the best-supporting actress for her role in the movie Far From Heaven. For every pound of information available on the internet about Patricia’s acting career, there seems to be a milligram worth of information present relating to her dating history and ex-boyfriends. The High Art star’s only public relationship was with actor Campbell Scott, which began after the latter’s divorce in September of 2002. Campbell would accompany her to various red carpet events soon after they began dating. Their personal life saw a new peak in 2005 as they were cast to play husband and wife in Craig Lucas directed movie The Dying Gaul. The movie was a precursor to the events that would transpire later -- after years of dating, their union ended in tragedy. Following their breakup, Patrice’s ex-boyfriend, Campbell started dating actress Kathleen McElfresh and eventually married her on 30 May 2009. Despite their unsuccessful attempt at wooing each other at one point, the former couple remained good industry colleagues. Nearly a decade after the premiere of the drama-filled movie The Dying Gaul, she and her ex-boyfriend, Campbell would once again work together after being cast to play together by Netflix for season five of House of Cards. The Far From Heaven star has never been married. As far as settling down with a husband goes, she claims to have figured all it out by the time she had turned 14 years of age. I’m always mothers. I’m not quite sure why. I’m single—can I play me? I’ve never wanted to be married, and I knew it at 14. I knew I wouldn’t have this life if I got married. She further delved into her “beautiful relationships” with men and how she hoped to continue it till she turned 100. According to her, the images of a husband and a married life trigger her claustrophobia. I’ve chosen to live without the confines of what society really often dictates. It’s always a shock to people that I’m not married and don’t have children. I’ve had great love in my life and I’ve thought about marriage but it was not a real-life pursuit for me, and maybe that’s sad to say. In the end, it wasn’t right. If one were to take her words as they are and put it in a different context, surely they ought to draw criticisms. The fact there are working women in Hollywood who have managed to strike the right balance between personal life and professional life only makes her choice of words feeble. CNN Journalist Arwa Damon Boyfriend & Dating Status Revealed - Finally! Seargeoh Stallone Wiki: Son Of Actor Sylvester Stallone Dating Or Has Wife?